Many of our customers use the Safeguard Pressure Assisted Device for hemostasis following femoral access procedures because they trust its compression, convenience and comfort. 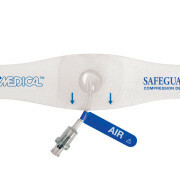 Merit Medical now has the Safeguard Radial™ compression device that offers the same trusted compression after radial procedures. 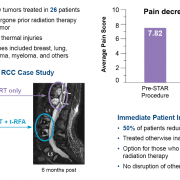 So if you have been using the Safeguard for hemostasis following your femoral procedures, you can trust the Safeguard Radial to provide the same comfortable, convenient performance for radial compression. Merit Medical Systems is pleased to announce the grand opening of a new office in Tsim Sha Tsui, Kowloon, Hong Kong. 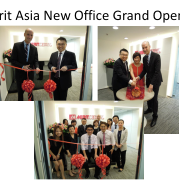 Merit Asia has been operating in Hong Kong for three years, and this larger office will help support our growing business with distributors in Hong Kong, Taiwan, and South East Asia.Joe Wright, President of Merit Technology Group was on hand to help with the ribbon cutting ceremony on June 12. Also pictured are Leon Lam, Vice President-Asia and Jo Choi, Regional Business Director for Hong Kong, Taiwan, and Southeast Asia. 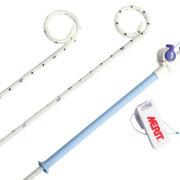 Merit Medical Systems, Inc. is engaged in the development, manufacture and distribution of proprietary disposable medical devices used in interventional and diagnostic procedures in several disciplines including cardiology, radiology, nephrology, vascular surgery, electrophysiology, and endoscopy. Our broad product portfolio includes therapeutic products for dialysis, embolization of uterine fibroids and tumors, and strictures of the airway. ReSolve® Biliary Locking Drainage Catheter Receives CE Mark! I am pleased to announce that the ReSolve® Biliary Locking Drainage Catheter has received the CE mark and is available for sale in Europe. https://www.merit.com/wp-content/uploads/2014/09/resolvebiliary-new.jpg 541 1200 Merit Medical https://www.merit.com/wp-content/uploads/2018/11/merit-header-logo.svg Merit Medical2014-07-01 14:07:582015-07-01 16:59:29ReSolve® Biliary Locking Drainage Catheter Receives CE Mark!